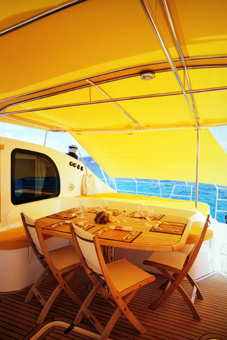 Luxury crewed catamaran Tahuata is a large stylish and elegant Privilege 58 catamaran offering luxury crewed charters. She is based in the Cyclades Islands, Greece and at the beginning and end of the season is available in France, West Mediterranean. 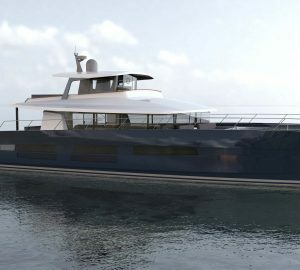 Tahuata is a powerful, sleek, exceptionally designed and crafted luxury charter yacht. 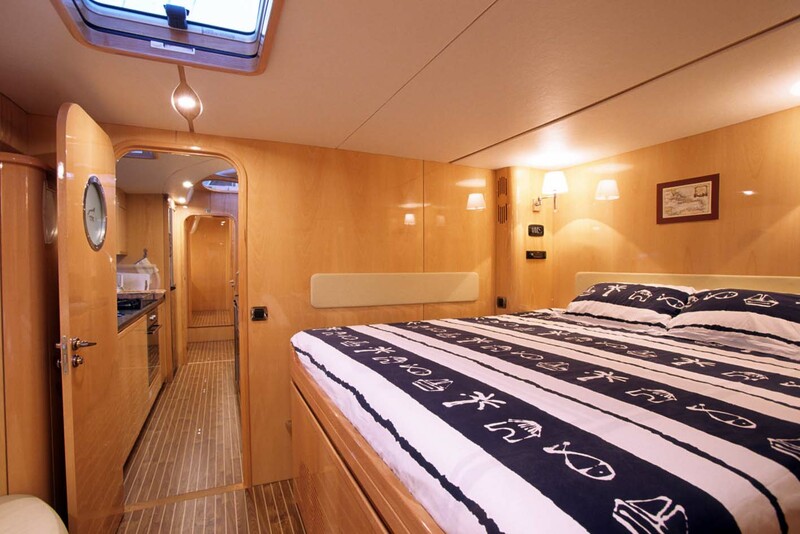 This catamaran boasts all the conveniences of a modern cruising catamaran whilst easily attaining the highest possible standards for optimum cruising in relaxing safety and comfort. 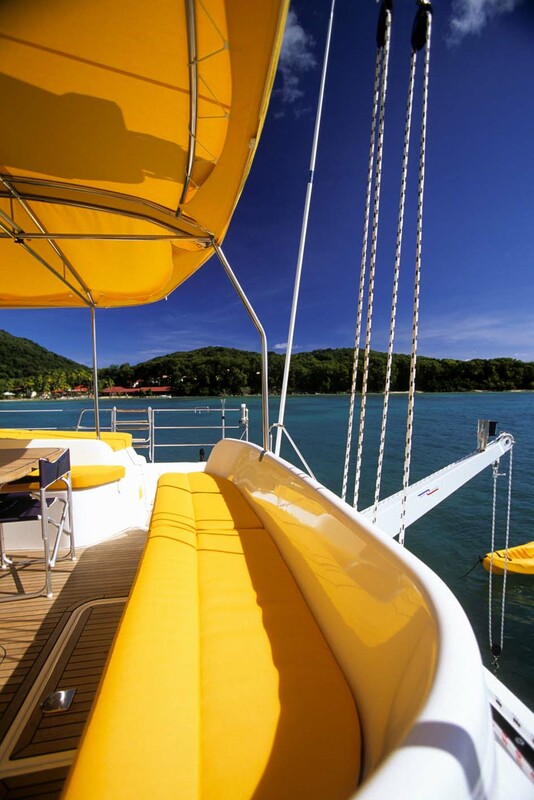 This stunning Privilege 58 catamaran is fully equipped and designed with cruising in the Tropics in mind. 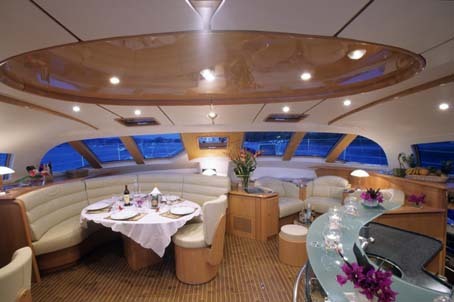 Her interior is totally air-conditioned and features contemporary light beech wood styling throughout. 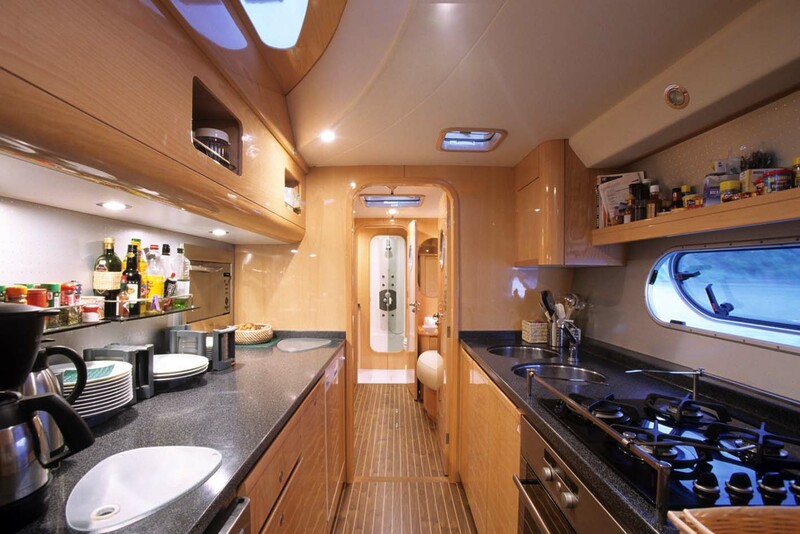 Her light leather upholstery and generous windows and hatches ensure there is plenty of natural light. The salon is a spacious, comfortable area in which to relax over a meal or escape the afternoon heat. 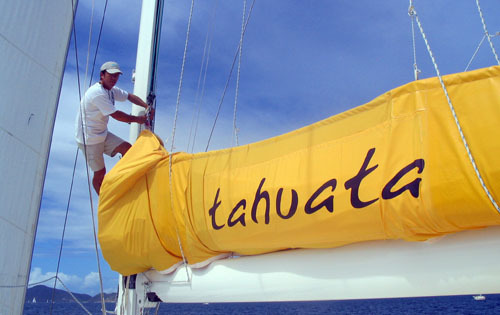 Maintained to the highest level Tahuata is an excellent catamaran which can provide even the most demanding clients with all the luxury necessary for a first rate charter vacation. 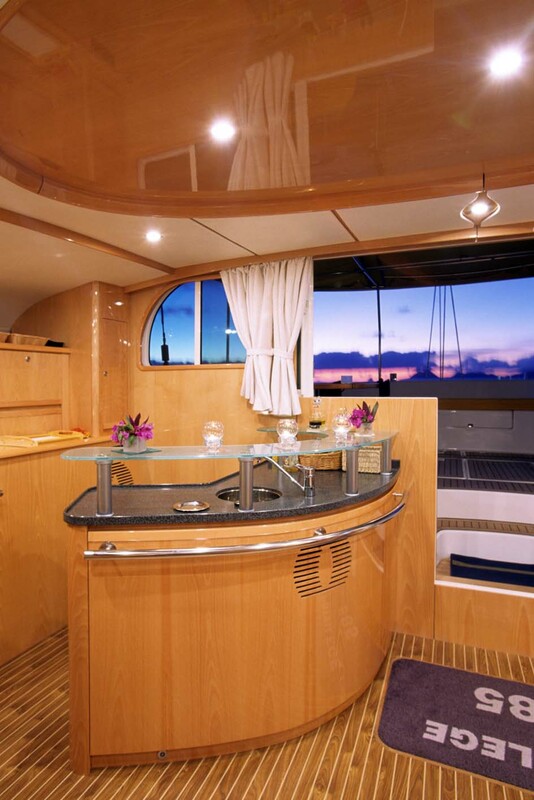 This luxury Catamaran’s large spacious saloon offers unrivalled space and a full panoramic view of the idyllic scenery and includes two leather sofas and a bar. 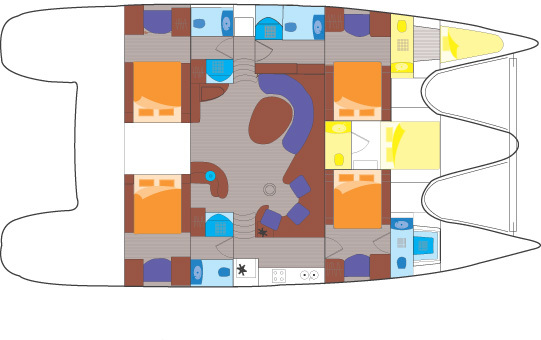 Tahuata also has a hugely spacious cockpit which is perfect for alfresco dinners as well as a vast but simple deck space with large sunbathing and relaxing areas. 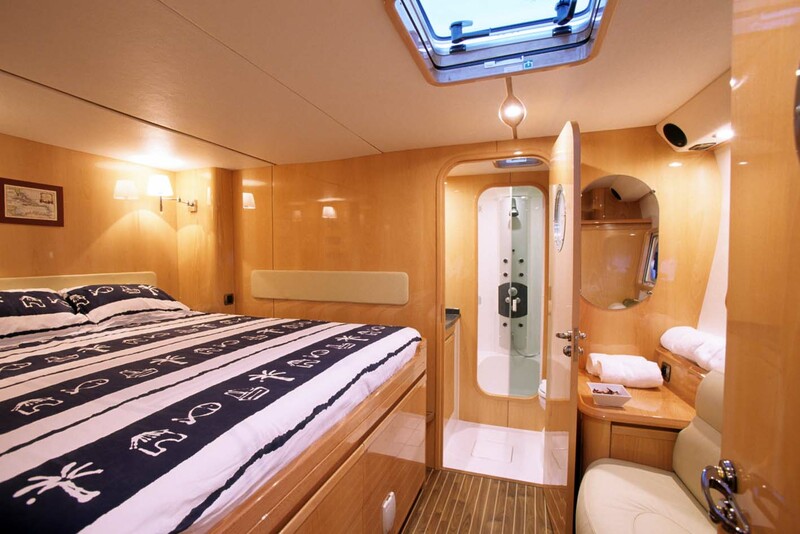 She has two large and practical aft swimming platforms which are ideal for boarding the yacht, swimming or just dangling your legs into the beautiful turquoise waters. 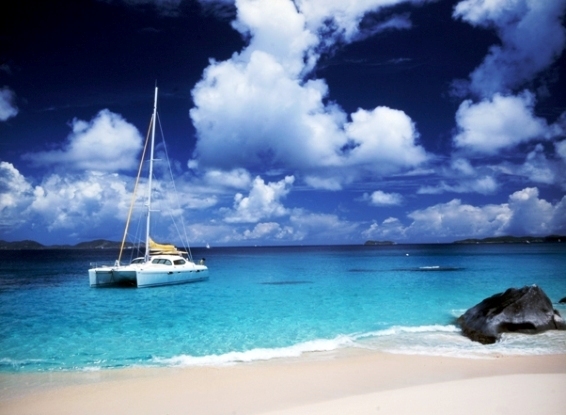 Her excellent crew are professionally trained to the highest level and will be on hand the entire charter to make sure that your every need is met and that this is a vacation that you will never forget. Tenders & Toys - Semi rigid tender / 4 meters / 40 HP engine - Water skis - wake board - 2 kayaks - towed buoy - Fishing equipment - Snorkeling equipment - Board Games Communications: SAT-COM (communication, Internet and email)with Iridium, 2 VHF + 1 cordless VHF, SSB: 150 W, Audio Visual Equipment: Deck Facilities; HI-FI set radio, CDs in the saloon; In each cabin; TV and DVD in the saloon, Bimini top, Cockpit, roof and deck cushions, 2 Deck showers, Speakers connected to lounge HI-FI, Electric Windlass, Icemaker.